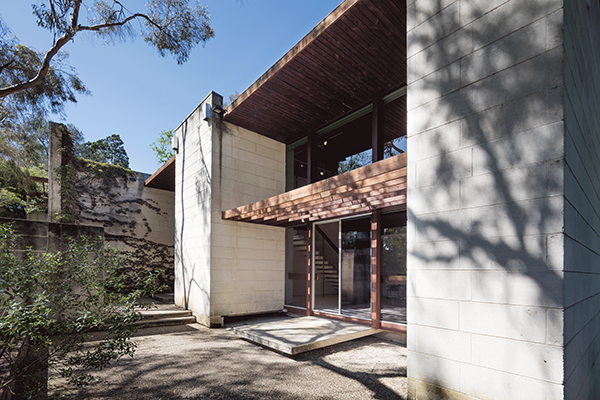 The mark left by the artists that have spent time at John and Sunday Reed’s homestead is still evident today not only through the exhibitions, it now houses as the Heide Musuem of Modern Art, but also from the traces that they have left in the building itself. In the kitchen, for example, there are some tiles decorated by the artist Mary Boyd (who married Sidney Nolan in the ‘70s). At the dining room doorway, on the wooden floor, traces of paint are still visible; it is what remains of an old mural painted over the whole room, including windows and blinds, by the avant-guard artist Mike Brown in 1969. On the walls, photographs shot by Albert Tucker provide documentary evidence of the life at Heide. The walls of the library, where not covered by bookshelves from floor to ceiling, still bear the original colour painted by Sidney Nolan and Sunday Reed. The building known as Heide II, was commissioned by John and Sunday Reed in the 1960’s. The building, built just a few metres from the original homestead, was awarded for architecture, and became home to Reeds’ adoptive son, Sweeny his family, until he tragically died in 1979. In 1980, John and Sunday Reed sold the building now known as Heide II to the Victorian State Government, and came back to live in Heide I. The couple died the following year, and in 1987 Heide II was opened to the public. The house proposes a contemporary architecture (reminiscent of F. L. Wright’s work as well as the Bauhaus), and the art it exhibits also reflects more contemporary works than those in Heide I: paintings, sculptures and installations are from various artists from the ‘70s to today. The new collection extends into the immense garden that displays sculptures in bronze, marble, corrugated iron and other materials. If Heide I gives space and pays homage to the Australian artists who renewed Australian art inside its walls, Heide II reflects as well, the period in which it was born. In fact, as a consequence of the massive migration flow that characterised the ‘50s and the ‘60s, Heide II embraces many artists with migrant backgrounds. 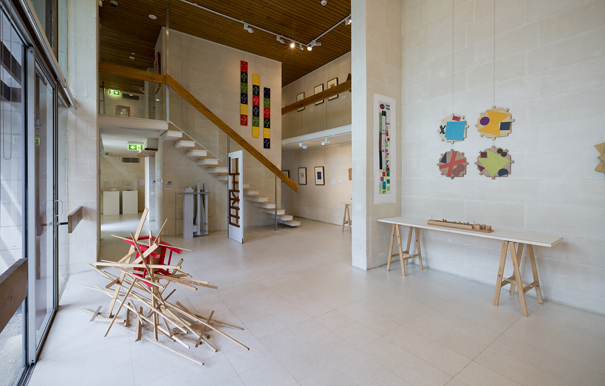 Heide III, is the only building at the gallery that was intended as a museum, and this building embraces the past and the present of Heide. 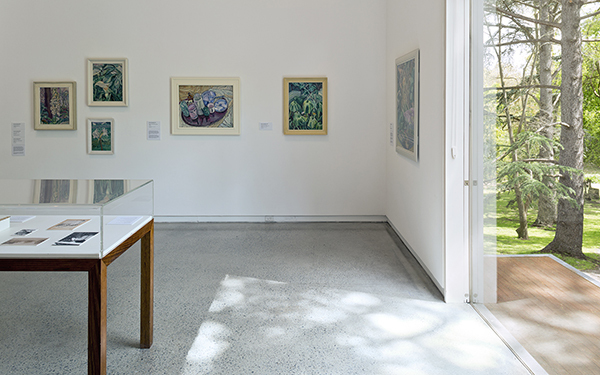 There the donation from Albert and Barbara Tucker is displayed, which includes canvases, photographs, books and documents gifted to the Heide Museum of Modern Art in gratitude to the Reeds. The room dedicated to Tucker is a plunge into his painting from the ‘50s to the ‘80s. Colonisation was central to his work. The first European explorers such us Burke, Wills, and Batman began to be depicted in his painting, along with the outlaw Ned Kelly. He portrayed their struggle to face the desolation of a land that didn’t belong to them. It was visiting the Etruscan sites in Italy that a unique representation of his characters took shape. Some of the colonists and Kelly’s face, in fact, take the form of a particular axe that Tucker observed exposed in those archeological sites. Only one room in Heide III is assigned to Tucker; the others are for temporary exhibitions. The Heide Museum of Modern Art is the venue that has inspired artists to follow a new different path in art that Australia did not know yet. 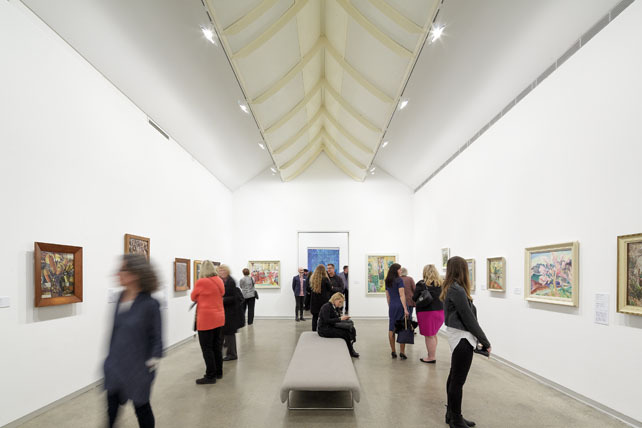 This art jewel, hidden in the green, would not have been possible if it weren’t for its open-minded founders who opened their home to Australia’s artists and eventually the general public. There are many stories behind the protagonists of Heide’s story that could be considered scandalous even today. But what emerged from them and remains today is the legacy that the Reeds left, a house for art, a project in continual growth. It is certainly worth a visit for any art lover!